There are few moments in life as traumatic as moving into your freshman dorm room, leaving behind your parents, friends, and most importantly, the foods that defined your childhood. After leaving Austin, Texas for Washington, DC and trading pink granite for white limestone and the UT Longhorns for White House foxes, I developed a craving for homemade dessert, the kind of moist, decadent treat that can’t be achieved in a restaurant or Whole Food’s bakery counter; the kind uniquely produced in the South. After finding this gorgeous recipe while prowling through Pinterest, I decided to adapt it for a dorm room kitchen by reducing the amount of ingredients you have to buy, as well as substituting pistachios for the state nut of Texas, the pecan. I hope you enjoy baking and eating this recipe as much as I did; there’s no replacement for good ol’ home cookin’. 2. Butter and flour a 13×9″ baking dish. 3. 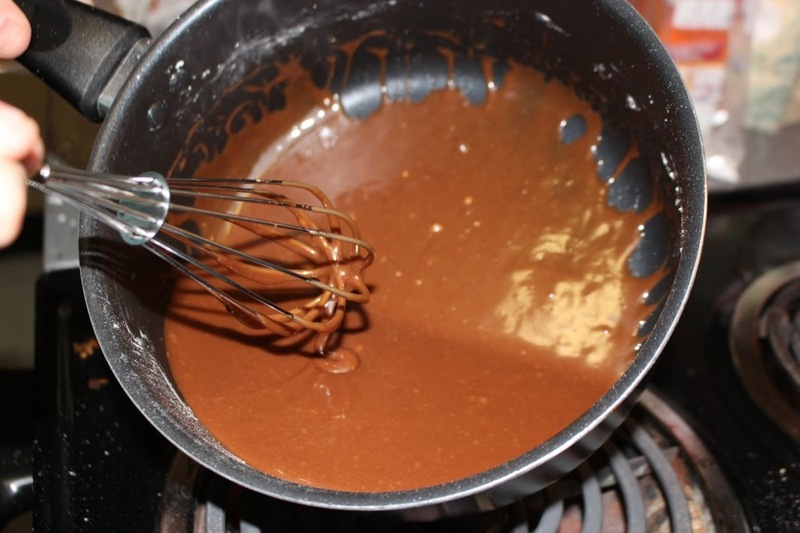 In a small saucepan, combine cocoa powder, butter, and water and bring to a boil. Resist the urge to try it, because it does not taste good (yet). Bring to a boil, while stirring, and then remove from heat. 4. 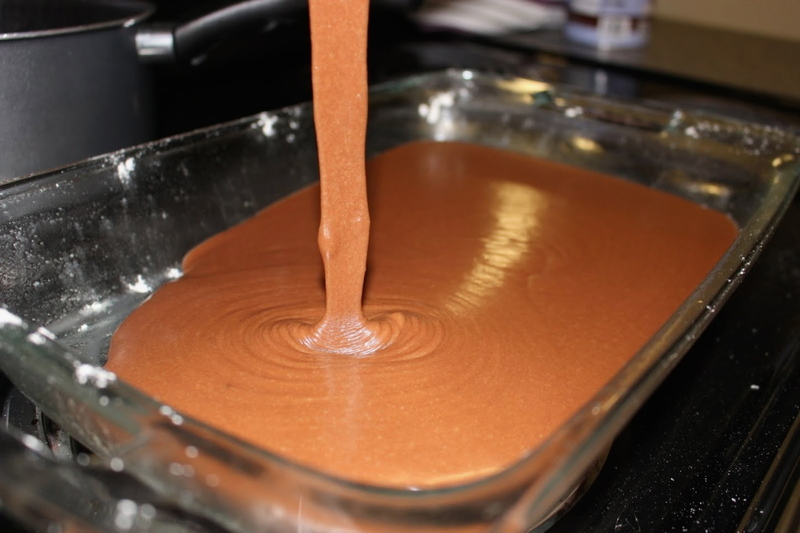 In a large mixing bowl, whisk together the flour, sugar, baking soda and salt. 5. In a small bowl or liquid measuring cup, blend with a fork together the eggs, whole milk,and vanilla. 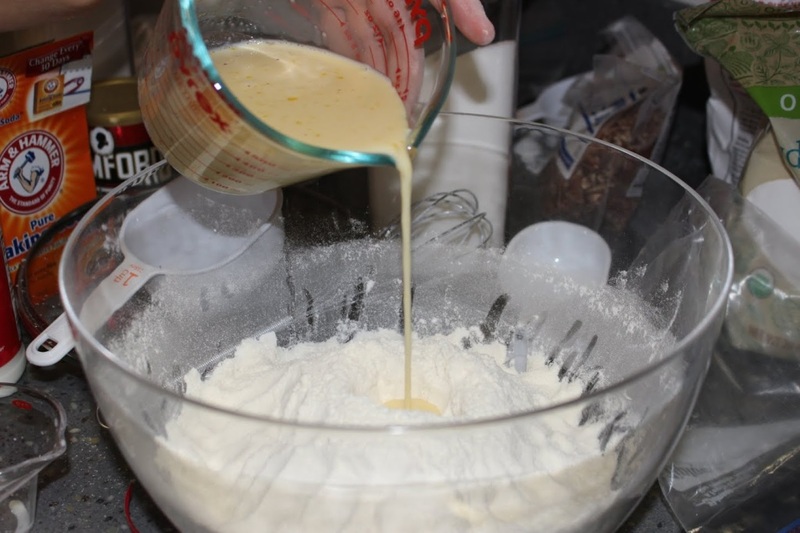 Make a well in your dry ingredients, and add the egg mixture, whisking wet into dry. 6. 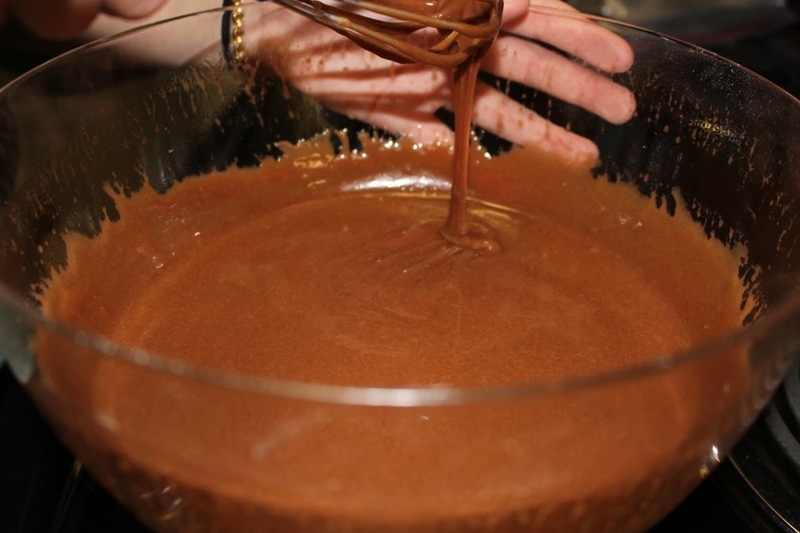 Add butter-cocoa mixture to the large mixing bowl and whisk the dry and wet ingredients until the mixture is smooth. This might take a few minutes, but don’t panic, the ingredients will come together if you give them a few minutes to relax. 7. Scrape batter into prepared baking dish and feel like a productive 1950s housewife/househusband. 8. Bake until cake starts to pull away from edges of dish and a random utensil (I like a metal knife) inserted into the center comes out clean, 35–40 minutes. 9. Transfer pan to a wire rack, or if you don’t have one, balance between two stovetop burners so air can circulate underneath. 1. About five minutes before you take the cake out, place the earlier saucepan back on the stove, above low heat. 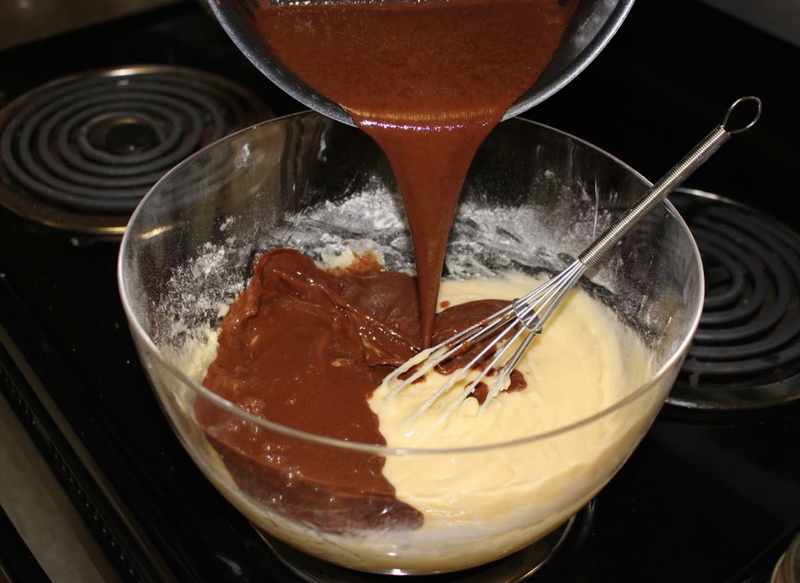 Heat the butter, milk, and cocoa powder, and whisk occasionally, till the butter is melted and the mixture looks smooth. Don’t let it boil, but if it begins to, just take it off the heat and continue with the next step. 2. After removing the saucepan from heat, add the powdered sugar and vanilla and whisk the mixture together. 3. 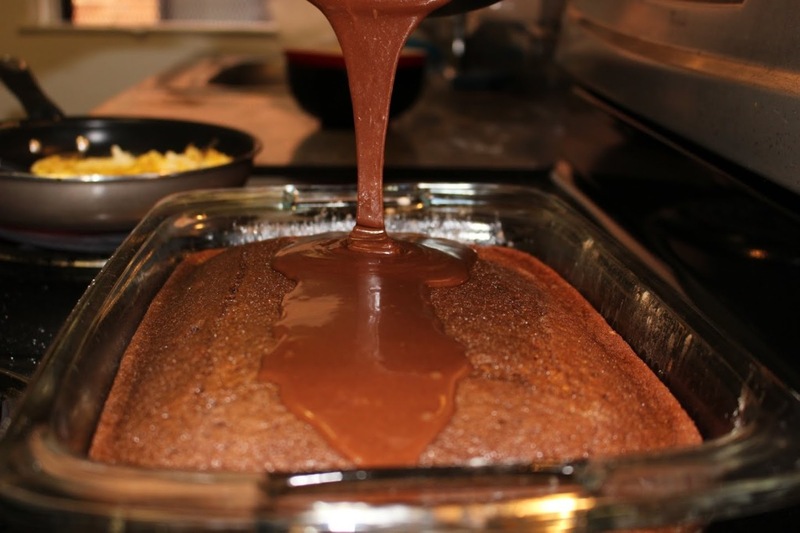 Remove the cake from the oven and pour the warm frosting onto the cake. 4. Sprinkle chopped pecans on top, and let cake cool. *At Whole Foods, it is actually cheaper just to buy the pecans already chopped. The original recipe recommended that you serve the cake warm, but myself and my taste testers overwhelmingly preferred the taste of the cake at room temperature, allowing the flavors to fully mature after leaving the oven. This cake will keep for up to a week in tupperware, in your fridge. Individual slices can be wrapped in plastic and frozen for later consumption, 1-2 months. 'Cause everything is better in cupcake form. 0 to 100 Real Quick (like 90 seconds in the microwave quick). Because nothing says "I love you" like a bouquet of bacon.